Ashampoo Antivirus is comprehensive security software for Windows operating system that provides protection against viruses, worms, and Trojans. 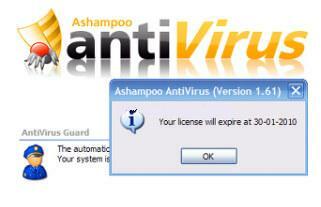 The Ashampoo Antivirus comes with simple and intuitive users interface. 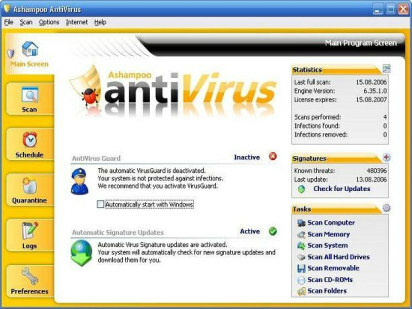 In addition, the Ashampoo Antivirus also performs checks and protects all the critical system areas of the computer. It is using advanced new algorithms for identifying and blocking unknown threats on the basis of suspicious behavior. The Ashampoo Antivirus also integrates a background scanner module to provide completely new development that places a minimum load on your system resources. Fill in the form by enter a valid email address, then click “Send” button to register. Then email from “Ashampoo” will receive with a conformation link. Once after fill in the form by type first name, last name, zip code, language and country. Ashampoo will send another email with Ashampoo Antivirus 1.61 full version registration key. Enter the license key to enjoy the free full app.